Home > Joint Supplements > Why Does Cortaflex Improve Joint Function? Developed by nutritionist Bruce Snipes, Cortaflex initially was a joint supplement for horses. Called Equine Cortaflex, it was developed specifically to help racehorses train better, longer and faster, and very quickly made a name for itself. Snipes went on to develop Cortaflex for cats and dogs, hoping it would improve overall pet health by helping their joints function better, and eventually came up with a best-selling joint supplement for his fellow humans. Joint pain is more acute for some people than others, but it is an inevitable part of the ageing process for all of us. The ends of our bones which come together to form joints are covered in articular cartilage and bathed in synovial fluid, which lubricates the joints. Chondrocytes, present naturally in our bodies, help to repair the cartilage when it starts to deteriorate, while naturally produced glucosamine provides the building blocks which helps them to make those repairs. Cortaflex is made primarily from two ingredients: glucosamine and chondroitin. Made from glucose and an amino acid called glutamine, glucosamine is a compound found in the human body that produces glycosaminoglycan, a molecule that helps repair cartilage and other tissues. 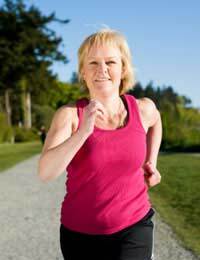 Chondroitin is a molecule present in the human body that helps cushion the joints. It's essential for joint health as it absorbs fluids in the connective tissue. Cortaflex purports to have great results because it uses smaller, isolates of both glucosamine and chondroitin, which are easily absorbed by the human body than other supplements of the same ingredients. It also contains co-enzymes and amino acids, which stimulate the body to make more glucosamine and chondroitin naturally. As Cortaflex was invented for animals, it's no surprise that this nutritional supplement is still selling well on today's market for horses, dogs and cats. Available in liquid form it claims to help reduce pain in animals with joint problems and keep animals active for longer, and also is marketed as preventive medicine. It is even recommended for young animals, including dogs aged six months and up. Cortaflex maintains that it is especially beneficial for dogs and cats as inbreeding and growth spurts can cause excessive joint wear and tear. Breeds with specific weaknesses are good recipients. Clinical studies have also proven that it can reduce gait asymmetry in horses in just two weeks. Makers of Cortaflex maintain that is has no adverse side effects, and that it also is not known to interact with any prescribed medication or other nutritional supplements. Still, it is a good idea to consult a medical professional before taking any supplement. Can equine cortaflex be taken with danilon on a permanet basis?